Back in 2006, an acquaintance online challenged my view of Scripture. We had been discussing 2 Peter 1:3. I claimed that this verse promised that God’s Word has all the answers to any problem we have. She argued with me and said that the Bible was useful for eternal life and knowing spiritual things, but it wasn’t intended for practical issues like marriage, parenting, teaching history and science, or knowing how to choose a mechanic. I suppose it doesn’t tell us which mechanic to choose by name, but I countered back that surely it contained godly principles on how to choose a good mechanic — not counting the verses that promised that the Spirit would guide us and give us wisdom. She said that I was taking verses out of context and applying verses written to Israel or to first-century churches and falsely applying them to my life. I didn’t sleep that night! I really didn’t! Questions raced through my mind for hours. If God is love, then how will He act? What does His love look like? “With praise and thanksgiving they sang to YHWH: “He is good; his love toward Israel endures forever” (Ezra 3:11). God loved Israel, so why did He give them a list of impossible rules, knowing that they wouldn’t be able to keep them? Was He just out to prove how sinful and wretched they were — or could it be that He gave them instructions because He loved them, for their good? So why would He reject His people? Why did He love me more than He had loved Israel? Why did He change all His laws, if they had been for their own good? And if He loved me so much, then why didn’t He give me specific help in my time of weakness? Or why did it seem like the instructions His Spirit gave to one Christian were different than those He gave to other Christians? Ahhh…. the questions continued for hours. But one thing I knew! God is LOVE. His Word says so clearly — and repeatedly. “This is the message we have heard from him and declare to you: God is light;in him there is no darkness at all” (1 John 1:5). By the wee hours of the next morning I had made a very important decision. I got my Bible, several highlighters, and my journal. I sat at the dining room table, still dark before sunrise, and I opened my Bible to Genesis 1. I didn’t know if it all applied to me in 2006, as it had applied to the original readers, but I was determined to at least find out what it said. And I didn’t care how long it took. It actually took me only a few months to read through the entire Bible, including those little “minor prophets” that I had always struggled to find interesting. For this reading, I decided not to worry about whether a command was given to Israel or to me. I imagined for a moment what life would be like if it were to all apply to me. The rules were mixed in with the love story. I was blown away by the love God had for all mankind. Over and over, He showed them His love and grace. They didn’t always accept His love, but He came back to them, over and over again. “YHWH is not slow in keeping his promise, as some understand slowness. Instead he is patient with you, not wanting anyone to perish, but everyone to come to repentance” (2 Peter 3:9). The rules were ways that I could show love to both God and others. The Bible didn’t leave things to chance. God told me to love others as myself, and then He gave specific ways to do that. It was incredibly practical. “Do not take advantage of a hired worker who is poor and needy, whether that worker is a fellow Israelite or a foreigner residing in one of your towns. Pay them their wages each day before sunset, because they are poor and are counting on it” (Deuteronomy 24:14-15). The rules were given to people by Someone who cared for them. Not only did God create people (so it stood to reason that He knew what would work best for them, their bodies, and their relationships), but He also wanted to fill His loved ones’ hearts with joy and purpose, with delight and mercy. If taking the bacon out of my freezer was for my good, or taking a day off to rest each Saturday was a gift, then why wouldn’t I want it? Why did God write His instructions down in a book and then preserve it thousands of years until it would arrive in my hands, here in the uttermost parts of the earth? Why would He do this? “Praise be to the God and Father of our Lord Jesus Christ, who has blessed us in the heavenly realms with every spiritual blessing in Christ. For he chose us in him before the creation of the world to be holy and blameless in his sight. In love he predestined us for adoption to sonship through Jesus Christ, in accordance with his pleasure and will— to the praise of his glorious grace, which he has freely given us in the One he loves. In him we have redemption through his blood, the forgiveness of sins, in accordance with the riches of God’s grace that he lavished on us. With all wisdom and understanding, he made known to us the mystery of his will according to his good pleasure, which he purposed in Christ, to be put into effect when the times reach their fulfillment—to bring unity to all things in heaven and on earth under Christ” (Ephesians 1:3-10). He loves us so very much. It is His good pleasure to lavish His riches on us, and each day is a gift. 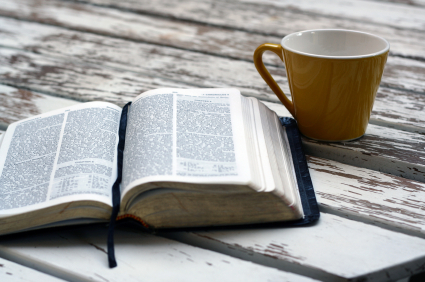 We can open the pages of our Bibles, listening to the precious Spirit of God He gives us, and He will make known to us the mystery of His will. Several months later, tears flowed down my cheeks as I told Him how very sorry I was for hurting Him, for doing my own thing, and for disregarding His instructions. Even though I realized how I had sinned, I experienced His love and forgiveness even more. You can think of this blog post as an introduction to many more posts to come. I still have the Bible and the journal that I used that year (and since), and I thought I’d open them to you over the coming months. 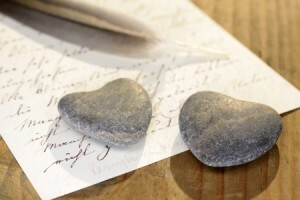 I’d love to tell how I read His love letter and how it has changed my life. If you’re reading a love letter, you’ll do a few things. You’ll read it from the beginning. He wrote it one page at a time, and it will make the most sense when you read it that way, too. You’ll meditate on its beauty all day long. It might take you a few months or a few years to read. It doesn’t matter, but you’ll certainly think about it all through the day. You’ll mull over it, chew on it, look at each word, and take great delight in it. You’ll do each thing it says. When someone gives you instructions in a special letter, you really listen. You’ll probably write a lot of it down so you’ll remember it. What’s more, as soon as you’ve read it, you’ll try to follow the instructions to the T.
You’ll spend time with others who share your love. You would search for new companions, people who love the Author like you do and show great respect for His words. You’ll listen for the Voice behind the words. The better you know the letter He wrote, the more you’ll be able to hear Him whisper to you each day, saying, “This is the way; walk in it” (Isaiah 30:21). and who meditates on his Torah day and night. whatever they do prospers” (Psalm 1:1-3). In the days and weeks ahead, I’m going to try to retrace my first steps into Torah with you. We’ll explore some of the subjects I looked at that first year, and I’ll show you how I worked through these issues. I’ll show you how the Torah made a practical difference in my everyday life, and in our home as well. Here are some of the topics I’ll eventually cover, but if I’ve missed some, please feel free to leave me a comment below. What is the church, and does it apply? Does the Torah require it? Does Torah us tell us how? How do we discipline children? When is a child considered an adult? What about women being silent? How do we celebrate biblical holidays? How do we figure out the calendar? How do we handle our money? How do we live for the Kingdom of God? These scripture quotes are so timely for me to send to a dear sister in UK that is new on this walk and just experienced rejection of her zealous testimony to a group of people she has been in bible study with for years. She quit the church, but was still in her Tuesday bible study with friends and wanted them to see Truth. I am sure that we have all been in that situation. Yes! It’s such an exciting discovery that it seems to bubble out and offend people. It is so helpful to connect with others who understand. I am so convicted that most of my efforts towards others should be prayer and action not talk. Thank you for sharing how you began in this journey. I look forward to reading what you have to share. This really sparked my interest in studying more again too. Thank for tackling these questions. YHWH has been working in my heart through some of the issues the last couple of years. Looking forward to reading more of your posts. 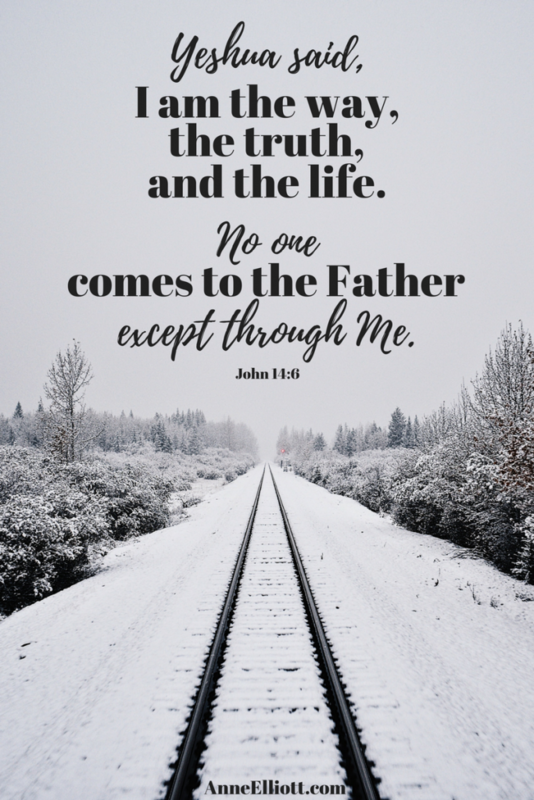 I see your point but when I asked my husband about the topic of obeying the Sabbath and the Law he stated that to do so would negate what Jesus did by dying on the cross, that He gave us freedom from the Law when He gave his life for us.